My first memory quilt was made in 2008 on commission, using fabric from the baby clothes of my client’s daughter. This little girl has a brother and their mother has saved all his baby clothes too. One of my projects this summer has been to make another memory quilt, this one for him. 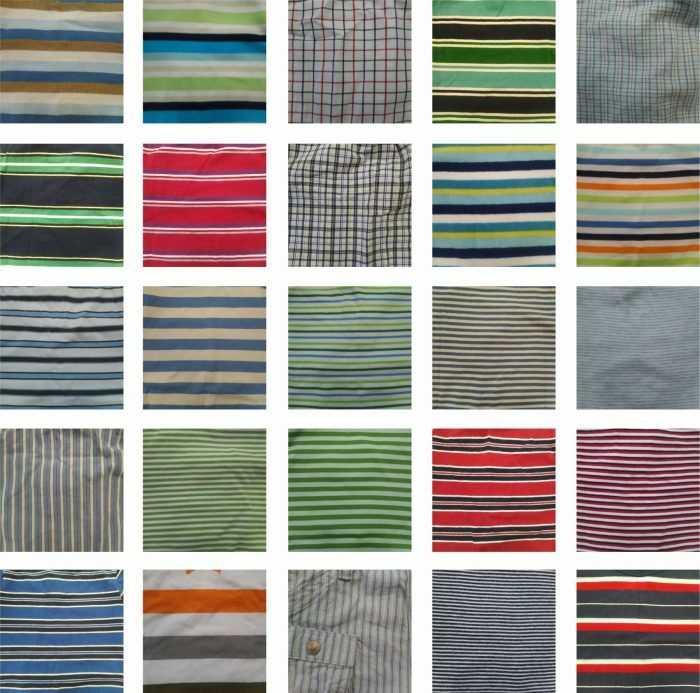 When I looked at the clothes, the first thing I noticed was stripes. Stripes, stripes, and a few plaids thrown in for good measure. This was going to be fun! 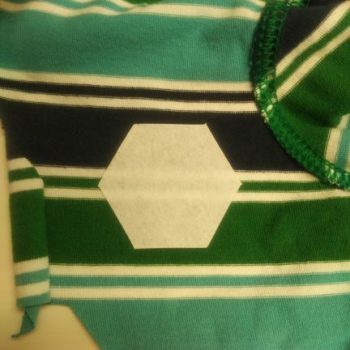 For her quilt, the baby clothes were cut into quarter-circle shapes. For his quilt, I decided to go with a hexagon shape. 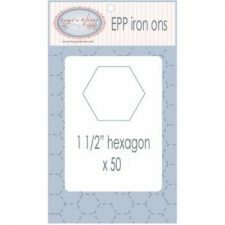 I used 1-1/2″ sided hexagon templates, precut from Hugs’n Kisses fusible interfacing. 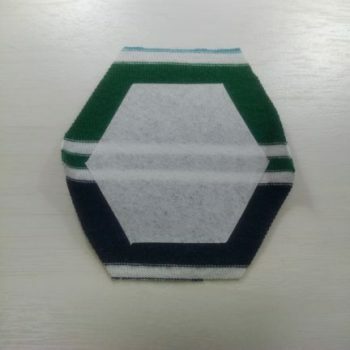 The beauty of this product is that the templates can stay inside the shape and don’t need to be removed like freezer paper. … then cut out leaving a seam allowance. 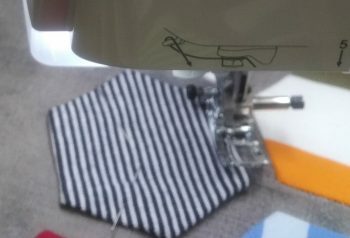 The seam allowance was basted using the Apliquick method. 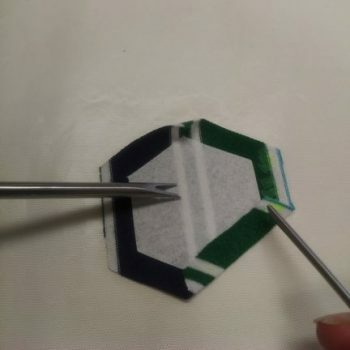 Water-soluble glue was applied to the seam allowance and the edges were turned using Apliquick rods. In no time, 200 hexagons were ready to sew. 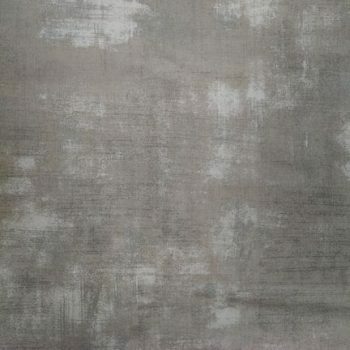 A background fabric was chosen as a backdrop for the hexies: Basic Grey Grunge from Moda Fabrics. The hexagons were arranged onto the background fabric leaving a half-inch space between them. I created a spacing guide to keep them even. Each hexagon was then machine appliquéd onto the background fabric. 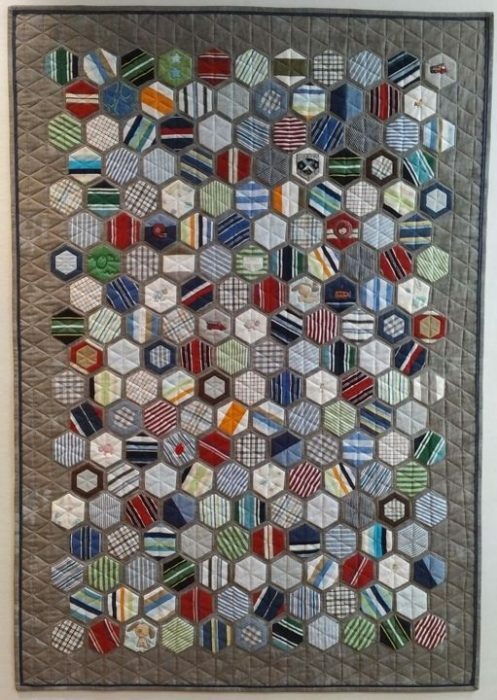 After washing the quilt top to soften the precut interfacing templates, the quilt was machine quilted simply with straight lines from point to point of each hexagon. When all the points are connected, it creates a background grid of equilateral triangles. An accent strip was inserted to add a bit of color beside the binding.